A cowboy from the Bronx? You would probably assume that trick roper AJ Silver/Angelo Iodice grew up on a ranch out West. Well you'd be wrong! 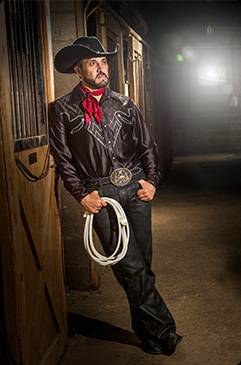 He was born and raised in The Bronx, New York where he learned his riding and roping skills. Sometimes truth is stranger than fiction! 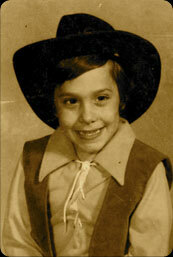 As a child, Angelo was fascinated by the Cowboy and tales of the Wild West. 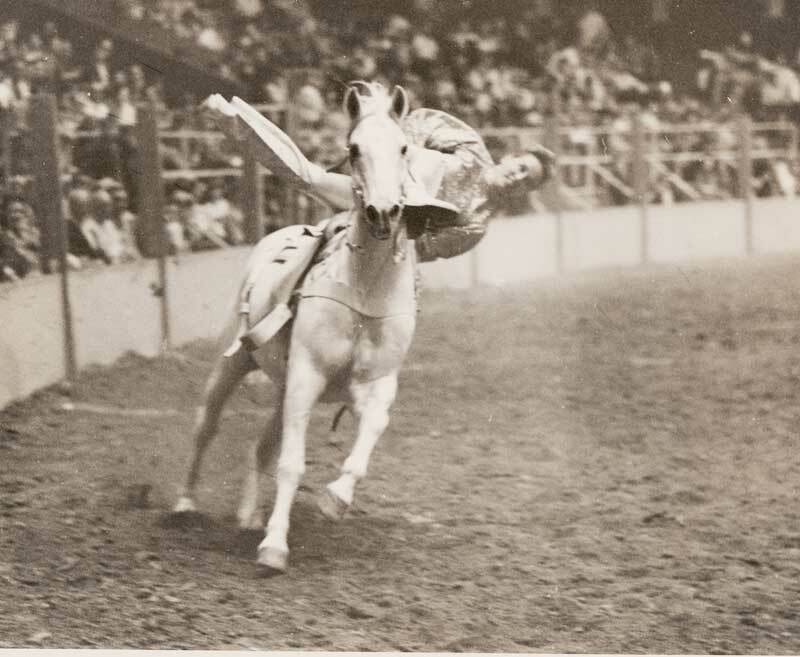 He saw his first rodeo at Madison Square Garden. 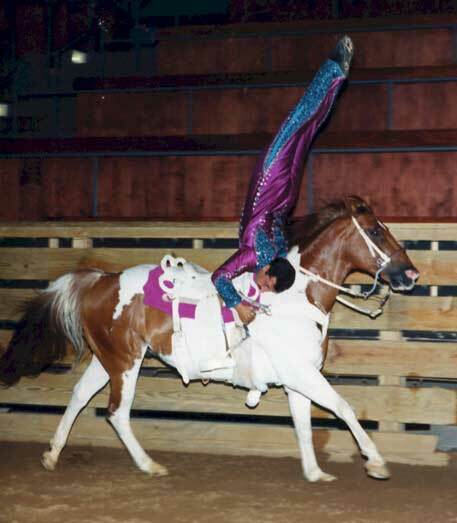 The skill, speed and danger of the trick riding exhibition blew his mind, and at eleven years old he found his calling: He would be a rodeo trick rider! As fate would have it he met the professional rodeo couple Nick and Helen Panzella, also Bronx natives. Helen, one of the nation's top trick riders, was so impressed with Angelo’s determination to learn that she agreed to mentor him. Nick, a blacksmith and rodeo competitor, taught Angelo trick roping and prepared him for life on the rodeo trail. Every day after school, while his friends were playing stick ball, Angelo was practicing the cowboy arts with the Panzellas. Out of respect for his Italian immigrant Grandparents, he put his rodeo career on hold to attend Pace University in Pleasantville, New York, but even there he found horses. Pace’s equestrian program gave him the opportunity to train in many equine disciplines. He even became captain of their newly formed polo team. Pace was so impressed with his achievements that they selected him as a participant in the school funded Leadership Program. 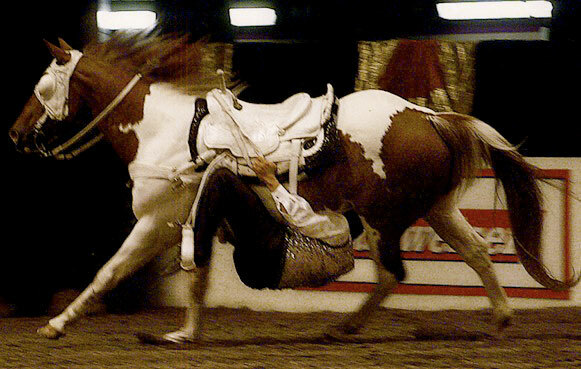 After graduation, Angelo taught high school for one term, but quickly gave it up for the rodeo trail. 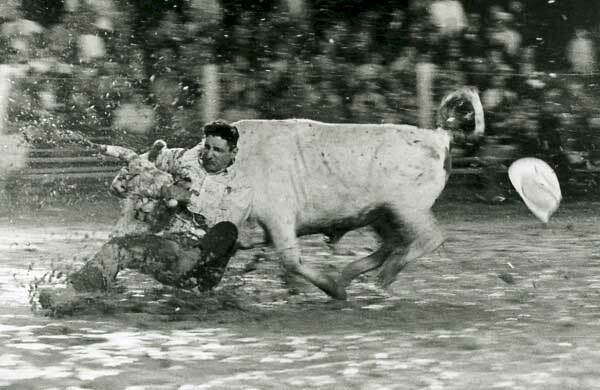 He was immediately hired by the Longhorn Rodeo Company - the world’s largest producer of indoor rodeos. 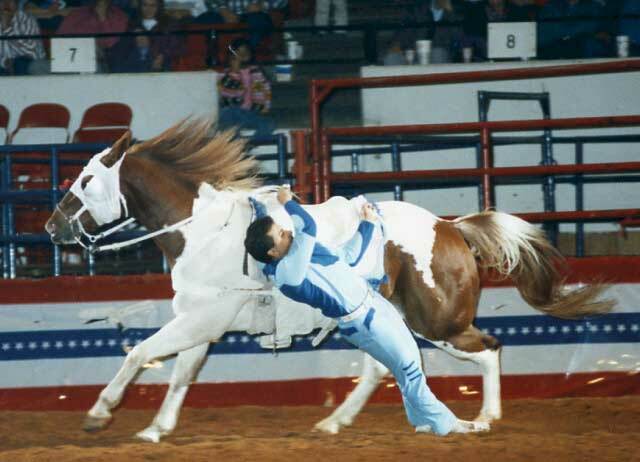 He traveled across the USA getting much attention for his outstanding trick riding and roping skills and signature showmanship. 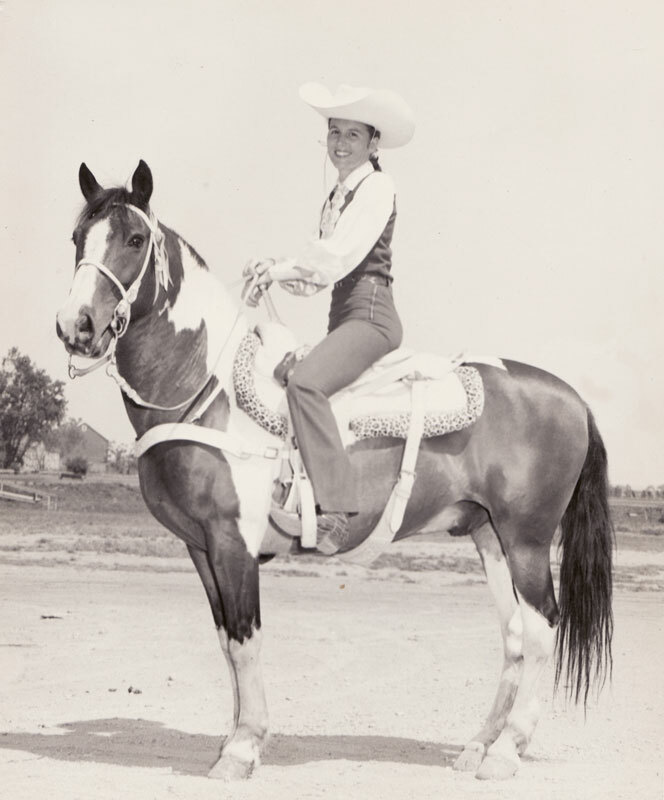 Within one year he was honored as the Act of the Year by the International Rodeo Association at The Cowboy Hall of Fame in Oklahoma and was accepted as a member into the Professional Rodeo Cowboy’s Association.This Bronx boy’s dreams were coming true! 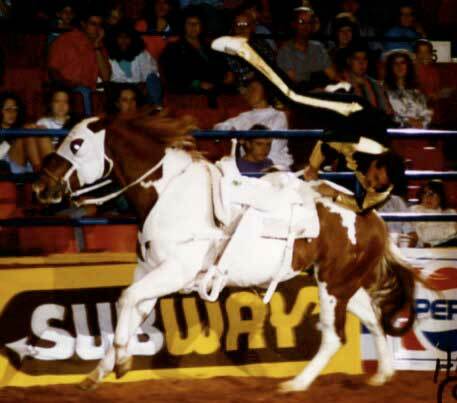 Angelo was now travelling across the USA performing in countless rodeos and achieved a lifelong goal when he was featured trick riding in Madison Square Garden the place where his dream was born. 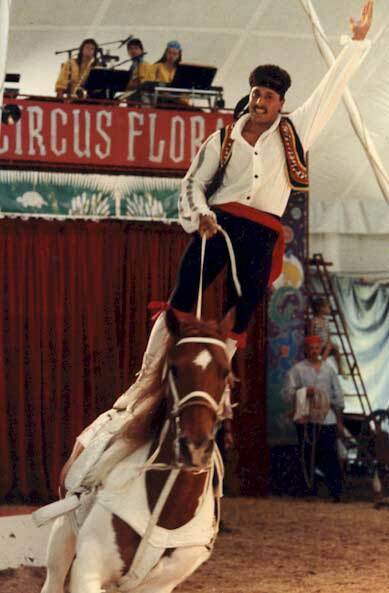 He eventually decided to take a break from trick riding and horses and turned his career focus on creating a western variety act combining trick roping, bullwhip artistry and boleadoras. Under the stage name AJ Silver he currently preforms this unique/high energy act in a variety of entertainment venues around the world. All the world’s a stage for this talented entertainer.